Alco Valves Group Ltd, part of the international engineering firm Graco, have enhanced its fitting range with the release of the Quick Connect Fitting (QCF). The QCF is designed for rapid connections and disconnections to components with internal threads for a maximum test pressure of up to 15,000 psi. 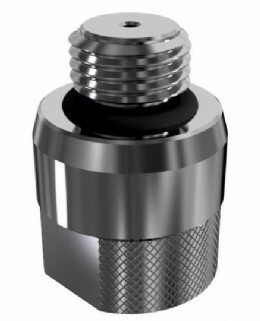 By simply screwing in the fitting hand tight, without any sealant or thread tape, a safe pressuretight seal is achieved with additional benefit of saving lengthy set up times. Factory acceptance test regimes can be established processes that require real forward thinking to improve efficiencies, reduce operational costs and help drive on time deliveries. The QCF provides a fantastic opportunity for customers to radically reduce their operating times whilst retaining exceptional levels of safety. Over the last 12 months, the QCF has played a pivotal role in reducing set up times within the testing department at Alco. This has also enabled Alco to perform extensive validation testing on the product prior to its release. 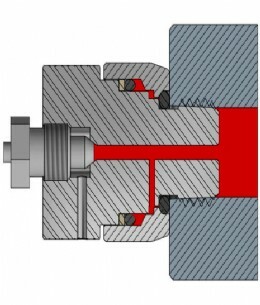 The QCF works on a pressure energised system that utilises a piston style collar to generate a seal between the outer face of the test specimen and test fitting, using HNBR O-rings.